During phosphoric acid production, clarification processes are used to remove contaminants from the acid. 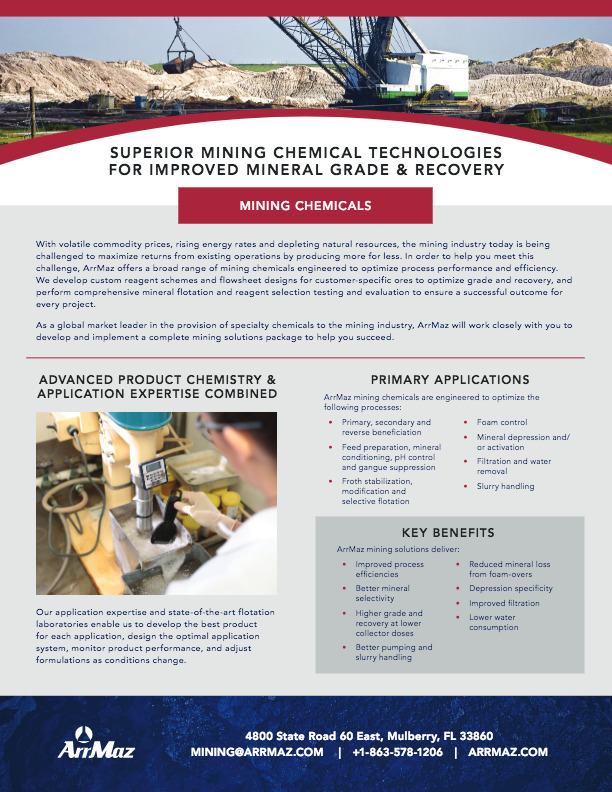 The settling rate of solid particles in the phosphoric acid clarification area closely follow theoretical laws, and is often not fast enough to maintain optimum production rates in fertilizer plants or other downstream applications. 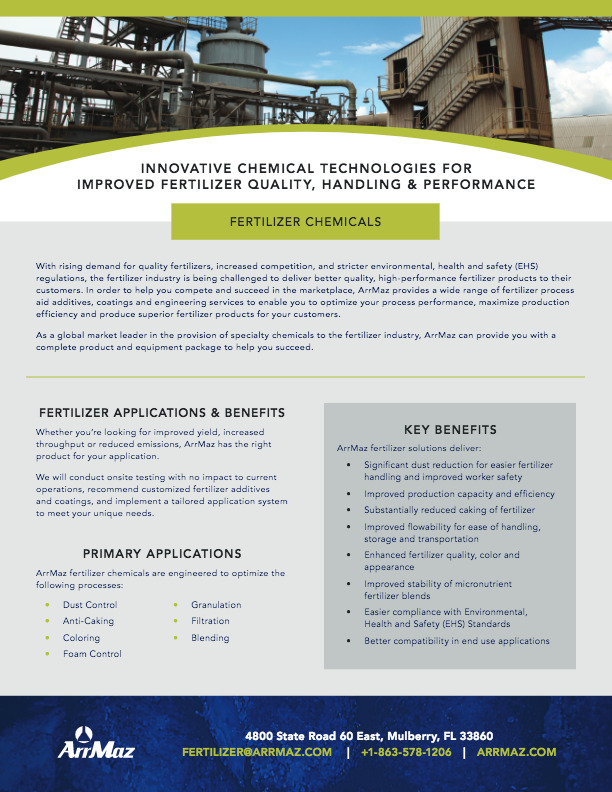 In order to maximize plant efficiency, polymers such as ArrMaz clarification aids are added to accelerate settling time. ArrMaz’s polymeric clarification aids are tailor-made to significantly reduce the amount of time required to remove impurities from phosphoric acid once it leaves the production process. They remove more impurities faster, for a higher quality phosphoric acid and improved downstream fertilizer grade. ArrMaz clarification aids deliver significant benefits for 25-54% strength acids. Our technical experts will work closely with you to select the best aids for your clarification process.